At Rosehill Wine Cellars, we are committed to providing the highest level of service to all our customers. This means before, during and after your sale. You can contact us by phone, fax, e-mail, or in person at our Toronto location. No matter which method you choose, our company representative will be concerned, knowledgeable, and helpful. Remember, as a company specializing in building wine cellars, we have used all of the products we sell in the cellars we build. 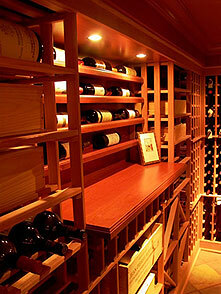 We share our experiences with you, so you do it right the first time and have a secure home for your wine. Carefully read the information below regarding the proper handling of your new wine storage products. Following these guidelines will make your experience with Customer Service easier and will help expedite any transactions. Please contact Rosehill Wine Cellars with any problems in the first thirty (30) days. Because of our experience and dedication to your satisfaction, we would like the opportunity to listen and react first. After thirty (30) days please phone the manufacturer directly. They provide the warranty on the product and have technical staff to handle such calls. All warranties are offered directly by the manufacturer. Please ensure you complete your warranty card and mail to the manufacturer. Please refer to our specific product web pages regarding the specific product for warranty information.